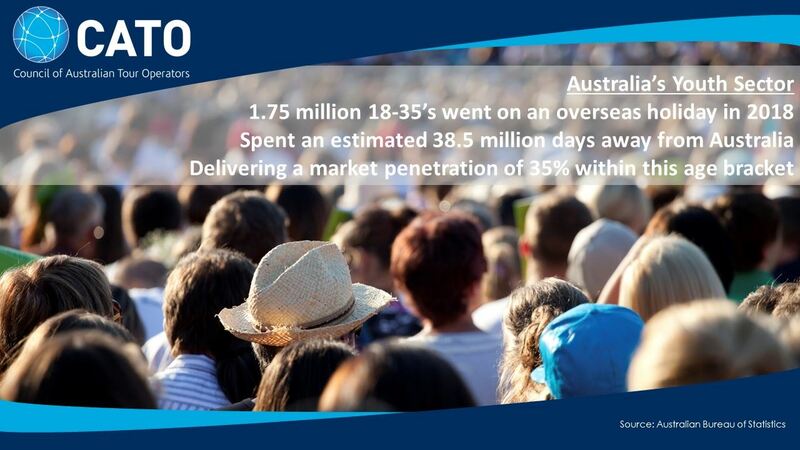 The Council of Australian Tour Operators (CATO) has today delivered a successful event focused on Crisis Management to nearly one hundred attendees. 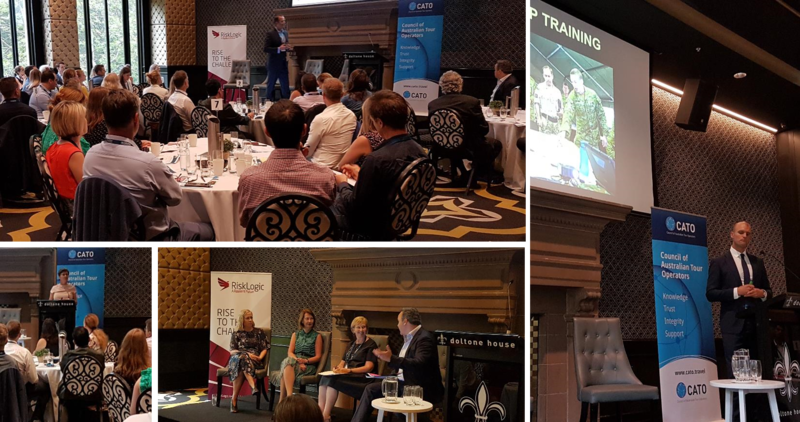 CATO Members and Guests heard from Leann Johnston, Director of Crisis Management & Contingency Planning at Australia’s Department of Foreign Affairs followed by a range of experts on crisis management including communications, legal, insurance, leadership and planning. Major sponsor RiskLogic opened the event by putting to the audience that “for most organisations it is not ‘Business as Usual‘, so why are the leadership team expected to manage a crisis as part of their normal duties?” The session went on to address the question – what does Crisis Ready Look Like? The Department of Foreign Affairs & Trade is Australia’s front line when it comes to major international incidents including consular, humanitarian and security crises. In the second session for the day attendees were given an in-depth look into the role of DFAT from preparatory work through to support for Australians when travelling overseas. Session three was a panel of high profile communications experts that included Robyn Sefiani, Founder, Executive Chairman & Reputation Counsel, Sefiani; Jill Collins, Managing Director, Barking Owl Communications and Cara Mygind, Director Communications & Government Affairs, SPG. The panel confirmed how in the event of a crisis, an effective public relations plan is critical and how appropriate communications will go a long way to protect an organisations reputation and often their survival. Legal concerns arise prior to, during and following a crisis - be it from a customer liability perspective during travel or exposure to suppliers due to cancellations because of a crisis event. In the fourth session of the day Aaron Zoanetti from Pointon Partners provided a legal perspective around the sort of planning required to ensure that your business (a) meets its duties of care to its customers and (b) mitigates commercial risks which may flow from a crisis event through effective legal documentation. Prior to lunch guests were educated on the value of appropriate insurance coverage by Gow Gates Director Specialty, Fred Esteban. This session looked at how to avoid a financial crisis where an incident is out of your control and what happens following an incident where a policy is triggered. Author, speaker and leader, Major Garth Callender has lived and managed some of the most extreme crises across the globe following twenty years in the Australian army. He delivered an emotional presentation based on his first-hand experience on how the impact of a crisis can be minimised by well-prepared teams and effective leadership. A key ingredient in international travel is healthy airline partners that are exceptionally well prepared in the event of an incident. AFTA CEO, Jayson Westbury interviewed former Qantas executive Steve Limbrick where they confirmed an airline crisis is not limited to the brand involved. It was agreed our entire industry could be impacted and attendees were given a clear picture of the extraordinary depth of preparation that goes into ensuring stability within the airline sector and flow on effect to all industry participants. In the closing session, delegates were given a wrap of the day by Dr David Beirman and provided a template for attendees to confidently develop their own crisis management plan. The Council of Australian Tour Operators (CATO) has today announced that it will convene a Crisis Management Conference in Sydney on Thursday, 21 February 2019. In this one-day event comprising keynote presentations and panel discussions, attendees will hear from a range of experts from across multiple areas of crisis management including the Department of Foreign Affairs and Trade, communications advisers and experts from the Technology, Insurance, Legal and Business Continuity sectors. Attendees likely to benefit most from attending this event include tour operators, wholesalers, retail agents and mobile consultants. The Council of Australian Tour Operators (CATO) has today announced Yalago as their most recent associate member. Yalago is a global leisure bedbank that is part of the Emirates Group. Key to Yalago’s ongoing growth is their dedicated business to business (B2B) approach that is set to expand across the Australasia region. Michaud will be in Australia early 2019 to speak directly with CATO Members. 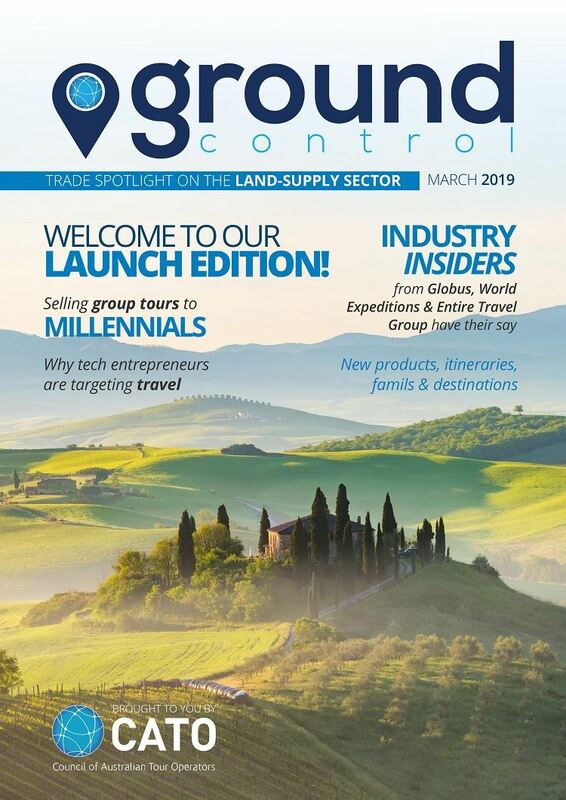 In a move to showcase its members and celebrate the continued growth, quality and diversity of land-based holidays, the sector’s peak industry body in Australia has announced a suite of new publications targeting travel agents. 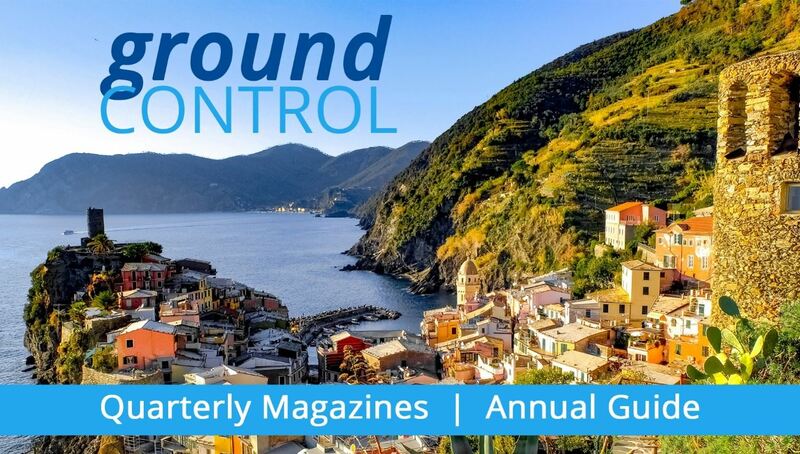 In 2019, the Council of Australian Tour Operators (CATO) will publish “Ground Control” as a quarterly digital magazine supported by an annual print guide that will keep awareness high for members and ensure the retail agents on the front end have all the latest information about travel products, trends, planning, personalities, forecasts, profiles and statistics. “We are very excited about this initiative that will be an invaluable resource for trade and a fantastic communication channel for our members, large and small,” said CATO Managing Director, Brett Jardine. Australia’s travel content specialists, Well Travelled will produce the publications for CATO and also offer the articles and images as free downloads for media and trade to re-purpose for their own newsletters, promotions and other content requirements. “Every quarter, the digital format magazines will reach more than 5000 retail agents,” said Mr Jardine. 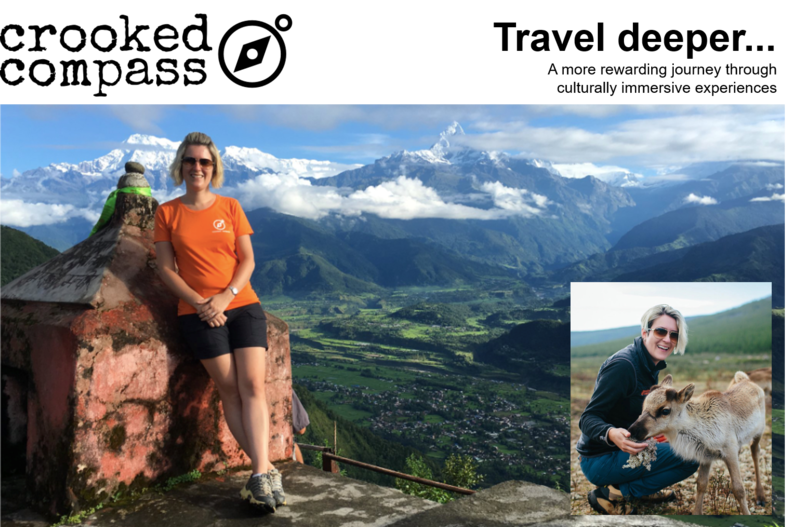 CATO’s tour operator and wholesale members are all ATAS Accredited providing credibility and peace of mind for Australian agents. The annual print publication will be a feature-packed guide that serves the dual purpose of being a permanent go-to resource for agents to reference the specialisations, distinctions and key selling points of each CATO member as well as preview what’s ahead - all designed to provide as much information as possible to agents to help drive conversions. The first edition of CATO’s Ground Control magazine will be published in February 2019 with a new edition every three months. The annual guide will be direct-mailed to trade in December 2019. The Council of Australian Tour Operators (CATO) has today announced former Shark Tank contestant Lisa Pagotto has joined their membership ranks under her Crooked Compass business. Pagotto is well known for the wide appraisal and encouragement she received from industry colleagues when she took on the daunting task of being a contestant on popular TV series Shark Tank. Victorian based members of the Council of Australian Tour Operators (CATO) were hosted by the Fairfax Travel Commercial Team at an exclusive event this week in Melbourne. Held at Fairfax corporate headquarters “Media House”, CATO Members were treated to a presentation from Fairfax Headof Travel Philippa Walker and senior editorial staff on insights and opportunities that exist across numerous distribution channels. 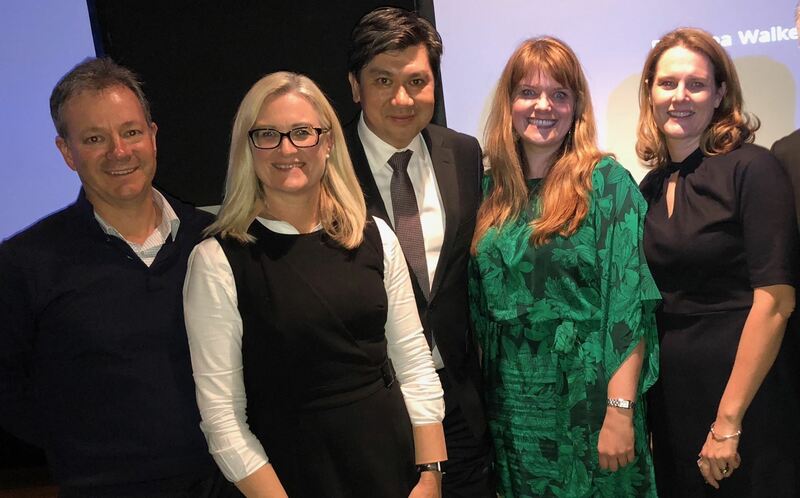 Left to right – Brett Jardine, Managing Director CATO; Philippa Walker, Head of Travel Fairfax Media; Mark Hawthorne, Publisher, The Age; Liz Anderson, Managing Director Sundowners Overland and CATO Executive Committee; Jane Reedy, Deputy Editor of Traveller. CATO joined forces with Star Alliance in Australia at this year’s AFTA National Travel Industry Awards to announce an extraordinary prize giveaway with members from both organisations joining forces to give guests the opportunity to win unforgettable journeys to Europe, Asia and the Americas. NTIA’s legendary Star Alliance-branded napkin holders once again provided eight lucky guests with the key to unlocking an unprecedented prize pool created by bringing together nine of the world’s leading airlines and eight of CATO’s top tour operators. a journey to Zurich flying with Singapore Airline and the Lufthansa Group for a seven-day Insight Vacations 'Magical Switzerland' tour taking in Lake Geneva, Zermatt and a voyage on the famous Glacier Express.